click here to view the ebooks bibliography, all Iain Sinclair’s works on ebook format. Following sorted in ascending order – need re-sorting. “Sickening”, in Restless Cities, Edited by M. Beaumont and G. Dart, London: Verso, 2010. 257-276. Blake’s London: the Topographic Sublime, published by The Swedenborg Society, London, 2011, ISBN: 978-0-85448-170-5, cased volume. Lud Heat, published by Skylight Press, 2012, 140 pages, ISBN: 978-1-908011-60-2. The Art of Dissent: Adventures in London’s Olympic State, ISBN is 978-0-9572943-0-1. Iain’s contribution in The Art of Dissent: Adventures in London’s Olympic State is an excerpt from his recent Ghost Milk. Accompanied by an image of Mike Wells’s 2007 “Good Bye and Good Luck” of an eviction notice lashed to a pole in close-up with a fluorescent pink farewell in the back ground. ‘Andrew Norton’ (a character from ‘Dining on Stones’, ‘Slow Chocolate Autopsy’) has a cameo in Alan Moore’s ‘The League of Extraordinary Gentlemen’ (Century:1910), Topshelf Comix. As a comic-strip character, Iain previously appeared as ‘Taffy Sinclair’ in Michael Moorcock’s Multiverse. DC Comics. 1-12. Sidekick (Dr Watson part) to Sir Seaton Begg. Stone Tape Shuffle In March 2012. Test Centre released Stone Tape Shuffle, a 12” LP by Iain Sinclair, in an edition of 400 vinyl copies of which 26 will be a special edition. The record consists of readings from Lud Heat, Suicide Bridge, Downriver and White Chappell Scarlet Tracings, and was recorded in situ on a day-long tour of East London and the City. 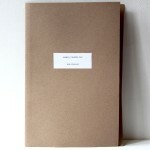 Edited by sound artist Dan Scott, the readings were combined with field recordings and echoes of the past from Iain’s archive. KITKITDIZZE: MEETING GARY SNYDER, January 2013, Published by Beat Scene. An edition of 125 signed and numbered copies. 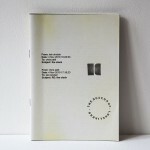 The Clock, by Chris Petit & Iain Sinclair, Published by Test Centre, 99 copies. SKU: TC-PUB-007. Videos, Documentaries, Movies, Voiceovers, etc..